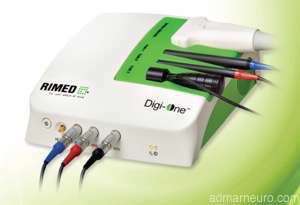 Digi-One™ provides a complete diagnostic solution for the modern Neurosonology or Neurovascular laboratory. Digi-One™ measures the blood flow velocity in the main arteries of the brain, non-invasively, facilitating the detection of stenosis and emboli flowing in the blood stream. Product is user-friendly, intuitive and simple to operate.